Your business identity is an important part of your overall brand. 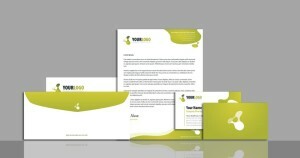 The cost for our basic business identity package is $225. Call (937) 419-0075 or submit the form below to get started on your identity package today! Visit our projects page to see samples of logos we’ve created or updated for other businesses. Watch our new explainer video for more information! If your company’s needs are different and you’re looking for a complete customized identity package that includes brochures, email marketing, packaging, signs, a website or other material, please give us a call or submit the form below.